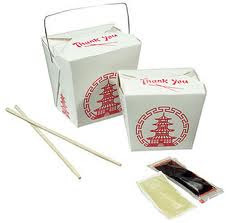 Those little packets of soy sauce with take-out Chinese fare? Not really soy sauce at all. Rarely contains even a drop of soy. Think 100% fake soy sauce. Same for many soy sauces sold in U.S. grocery stores: fake, or with only traces of soy bean extract. Genuine soy sauce is based on an ancient Japanese process of brewing wheat, soybeans, and a certain mold, then allowing the culture to ferment for months before refining and bottling. The Japanese government has long been incensed by proliferation of imitation soy sauces, particularly by U.S. corporations. Japan has unsuccessfully pushed the United Nations food standards program to set an official international standard for soy sauce... a move that would mandate all imitations to be labeled as fakes, or as something else. In rare, and horrifying, instances, Chinese workshops use human hair as a source for soy sauce proteins. "China Central Television (CCTV), the state television station, first raised public worries over the quality of domestic soy sauce by uncovering a substandard workshop in central China's Hubei Province, where piles of waste human hair were found. The hairs were treated in special containers to distill amino acid, the most common substance contained in soybean sauce. So what's a Chinese takeout aficionado to do in 2013 ? So what's a Chinese takeout aficionado to do in 2013 when hankering for soy sauce with his/her pork fried rice, fresh wontons, and scrumptious eggrolls? 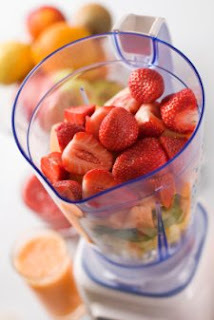 Even diligent fake-food watchers can be fooled by the appearance and feel of freshness in corporate-prepared food. 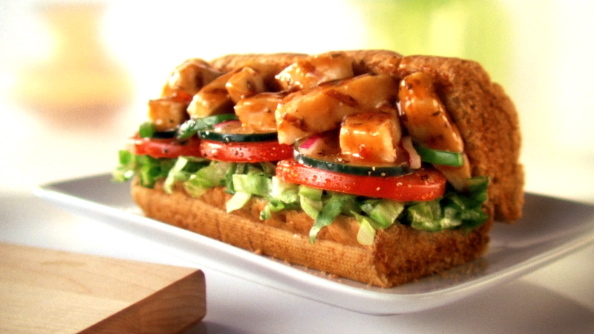 Take my favorite Subway sandwich, for instance: Subway's Sweet Onion Teriyaki sandwich. Filled to overflowing with lettuce, tomatoes, cucumbers, and other veggies, which are dressed with "our own fat-free sweet onion sauce." Topped (not as generously as shown above) with "tender teriyaki glazed chicken strips" that are not breaded. Subway's Sweet Onion Teriyaki sandwich boasts only 370 calories, and 6 grams of fat. More important to me, it tastes fresh, and has crunch and a pleasing sweetness. I genuinely like it, and I like believing that I'm eating healthy, simple, straight-forward food that just happens to be served by the world's largest fast-food purveyor. Well, I feel duped. I've been fooled by the appearance of freshness, and lulled into thinking that the presence of veggies and chicken strips meant this was the rare fast-food that's largely free of industrial chemicals. "You probably don't think of your lunch as being constructed from powders, but consider the ingredients of a Subway Sweet Onion Chicken Teriyaki sandwich. Of the 105 ingredients, 55 are dry, dusty substances that are added to the sandwich for a variety of reasons. "The chicken contains thirteen: potassium chloride, maltodextrin, autolyzed yeast extract, gum Arabic, salt, disodium inosinate, disodium guanylate, fructose, dextrose, thiamine hydrochloride, soy protein concentrate, modified potato starch, sodium phosphates. "The teriyaki glaze has twelve: sodum benzoate, modified food starch, salt, sugar, acetic acid, maltodextrin, corn starch, spice, what, natural flavoring, garlic powder, yeast extract. "In the fat-free sweet onion sauce, you get another eight: sugar, corn starch, modified food starch, spices, salt, sodium benzoate, potassium sorbate, and calcium disodium EDTA. "And finally, the Italian white bread has twenty-two: wheat flour, niacin, iron, thiamine mononitrate, riboflavin, folic acid, sugar yeast, wheat gluten, clacium carbonate, vitamin D2, salt, ammonium sulfate, calcium sulfate, ascorbic acid, azodicarbonamide, potassium iodate, amylase, wheat protein isolate, sodium stearoyl lactylate, yeast extract, and natural flavors." So much for simple and straightforward. 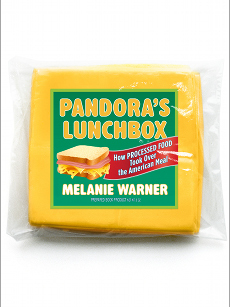 So much for a sandwich largely free of industrial fake-food chemicals. "If you were to make this sandwich at home with a basic chicken breast and fresh bread made with minimal ingredients. it would contain only a handful of these things. "Mass-scale food processing, however, requires an entirely different system of assembly, one fraught with often conflicting expectations. Manufactured food needs not only to taste good, for instance, but also to withstand the wear and tear of processing. It has to look and taste exactly the same very time. It also has to have a long shelf life, be produced cheaply and efficiently, and on top of that, it would be nice of it could be marketed as healthy." Eating heavily chemical-laced industrial foods is deemed to be far less healthy than consuming homemade versions that greatly minimize chemical additives, fillers, emulsifiers, flavor boosters, and similar. 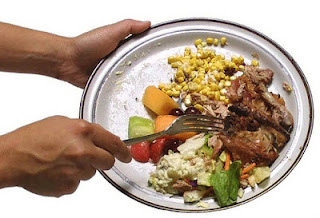 Don't be fooled as I was: fast food is nearly always heavily laced with industrial chemicals. Even if it's touted as healthy. Even if it looks, feels, smells, and tastes incredibly fresh. I'll never again look the same way at Subway's Sweet Onion Teriyaki sandwich. From now on to me, it'll be a delicious sandwich of 105 industrial ingredients, 55 of them dry, dusty powders. No thanks! I prefer my food sans as many industrial chemicals as possible. The cured Smithfield ham served last Easter at my father-in-law's home was simply divine: lightly salty, subtly sweet, meaty with a crackling, fatty edge. 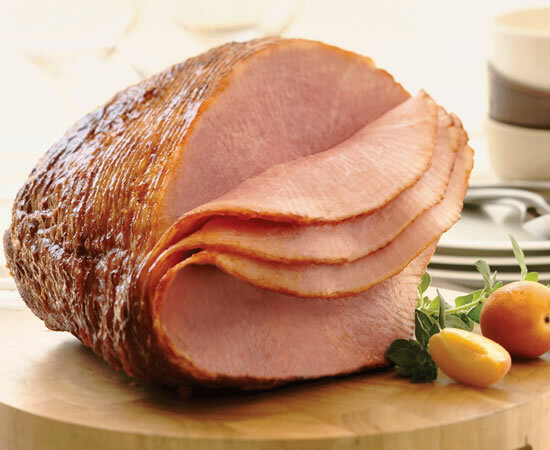 A high-quality, superbly prepared ham from a 77-year-old U.S. company with a remarkable food-safety record. We eat ham rarely, so indulged in spending extra money to buy the best for our family feast. Of course, like Shuanghui, U.S. meat producers are no strangers to adulterating beef, pork, and poultry with all sorts of drugs, from antibiotics to ractopamine, a growth-hormone drug banned in 100 countries, including Russia, China and most of Europe. ( Read details at U.S. Pork, Beef Laced with Drug Banned in Europe, China, Russia.) Interestingly, Smithfield reportedly ended its use of ractopamine only in anticipation of this sale. Chinese pork producers lay claim, though, to the most egregious (and grotesquely repellent) recent food safety record among Chinese meat industries. Producers are straining to meet growing Chinese demand for pork, 50 tons yearly, nearly half of world pork consumption.